Former Massachusetts Gov. Mitt Romney adamantly denied that he would run for president again in 2016, but apparently that’s all changed now: The former Republican candidate is reportedly considering taking another shot at the nation’s highest office. The news was first reported by the Wall Street Journal, which stated that Romney told donors in New York City on Friday that he is “seriously considering” a presidential run in 2016. 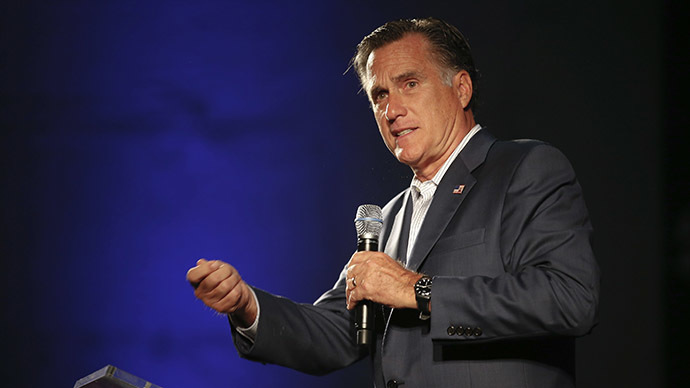 Romney spoke to roughly 30 of his previous campaign’s largest donors, pointing to turmoil around the world and concerns over the economy as reasons he is weighing another bid. Romney’s former national finance co-chairman, Spencer Zwick, was at the meeting and also confirmed to the Washington Post that 67-year-old Romney is serious about his statement. Still, the news comes as a surprise to many, particularly since Romney openly said his political career was all but finished since his loss to President Barack Obama in the 2012 election. As noted by CNBC, last year Romney told ‘Meet the Press’ he would not run again. "Look, I want to find the best candidate for us to take our message to the American people," he said at the time. "That we can bring better jobs, higher incomes, and more security globally. We can do that. And I'm convinced that the field of Republican candidates that I'm seeing is a lot better position to do that than I am. So I'm not running." The move comes as another establishment favorite, former Florida Gov. Jeb Bush, announced he is moving closer to running for president. Bush has begun attracting donors from across the party, and Romney’s latest statement seems to be an attempt to keep his loyal donors from jumping ship.